To POAS or not to POAS, that was the question. It was the question until I answered it with a big, fat, hell yeah that I couldn’t wait anymore and I was just going to POAS in advance of tomorrow’s blood test. While very faint and not as bold as the test window, that is a line. That is a line in the POSITIVE box! 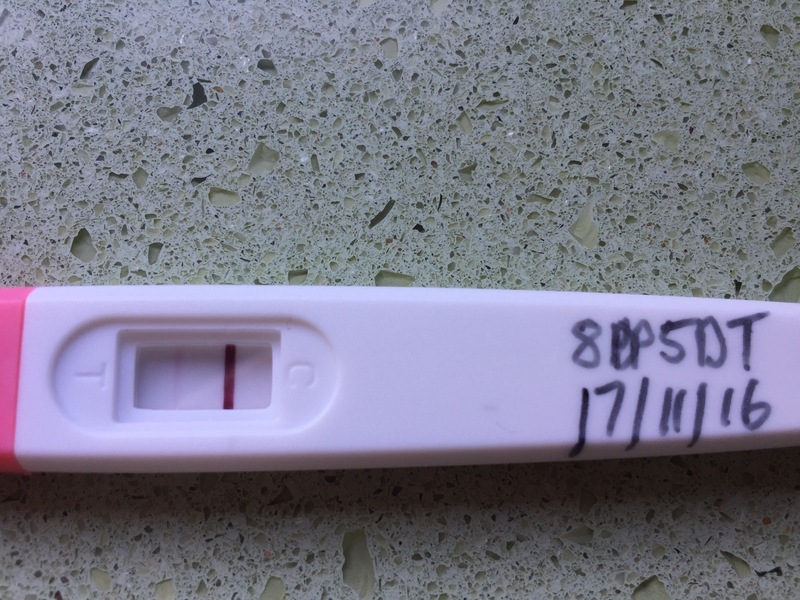 I have never been so delighted to see a pink line in my entire life! Full disclosure here: I did this test at 7.30pm, which is not exactly optimal for testing. I fully plan to do another test first thing in the morning to see if I can get a bit more of a bold line. I am SO DELIGHTED that I am positively skipping around the house! Bring on the blood test tomorrow!